Hoarding and Hypnotherapy in Oxfordshire and Reading. Hoarding? Bin that problem for good! Hypnotherapy for Hoarding: it could help you to bin it for good. If you’re a hoarder and are looking for help then please be assured, hypnotherapy could help you. I’ve seen clients with a hoarding problem in Reading, Oxford, London, Wallingford and Thame and am pleased to be able to say that those who are willing to engage with therapy succeed in their goals. You could be next! Hoarding seems to be one of the new TV crazes. There are now no end of TV shows devoted to the compulsive collection of items which serve no purpose and which limit the hoarder’s ability to enjoy life to its fullest. Some bodies estimate that 2% of the population may suffer from the problem. It’s hard to tell for sure, of course, because those with hoarding tendencies tend to be socially anxious and react to this by isolating themselves from society, taking comfort in those possessions which help them feel safe. The hoarding renders them more socially isolated (as family and friends find it difficult to cope with) and the consequent loneliness strengthens the hoarding coping mechanism. It becomes a vicious circle. If you find yourself trapped within this circle then please don’t despair. Hypnotherapy offers you a way out! Hoarding stems from insecurity. Perhaps the hoarder has lost a job, a partner, a role. Perhaps they never felt as if they had a place in society due to an abusive childhood. Whatever it is, possessions can be held onto. They’ll never leave or desert the hoarder. They are reliable and will never prove to be a disappointment. They form a part of a safe, enclosed and predictable world. Hoarding as a behaviour is associated with other conditions such as alcohol or drug abuse, mental health disorders, OCD, personality disorders, depression, anxiety and other problems. Some of these problems have helped to cause the hoarding to begin with. Some of them may be consequences of the social isolation which develops as hoarding takes hold. In any case, it’s a self-perpetuating cycle and it rarely ends well unless the hoarder finds his or herself in the position where they are caused to seek help. If any of this sounds like you then please don’t be downcast. 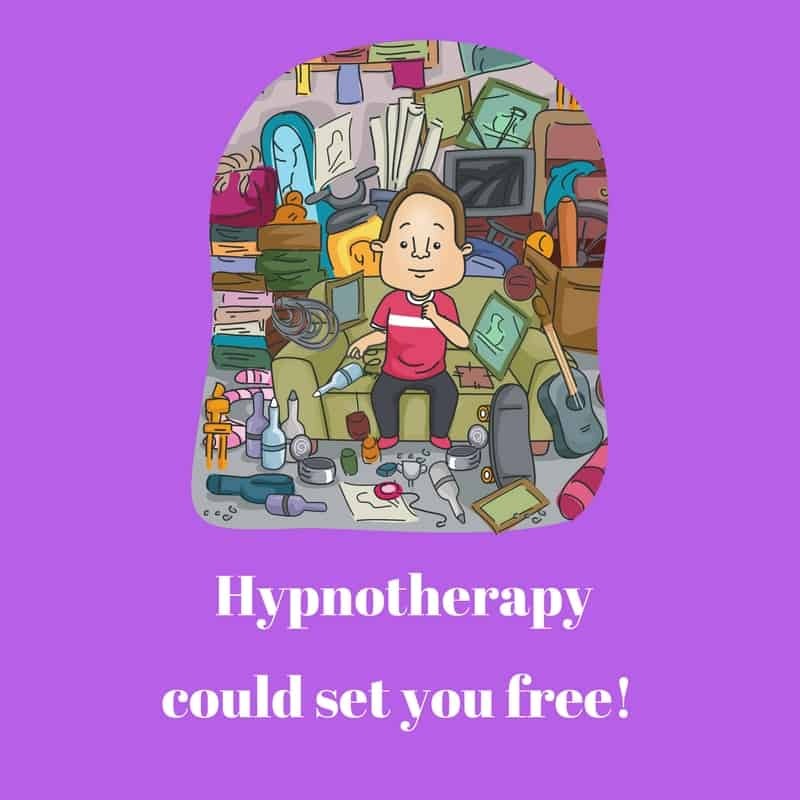 If you’re willing to engage with a systematic, respectful and gentle form of hypnotherapy then you can be free of hoarding. You really can and I’ll be more than glad to help you. I offer warm, effective and professional hypnotherapy in Reading, Oxford, London, Wallingford and Thame. I could help you to overcome this crippling obsession. Like any other coping mechanism, hoarding works very well until it doesn’t work any longer. When the accumulation of possessions restricts the hoarder’s enjoyment of their home, hoarding has become a problem. When the hoarder realises that his or her life is crippled by the sheer weight of their possessions, the time is right for them to call upon the services of a hypno-psychotherapist with an understanding of the condition. A skilled hypnotherapist can help build a new sense of meaning to life. 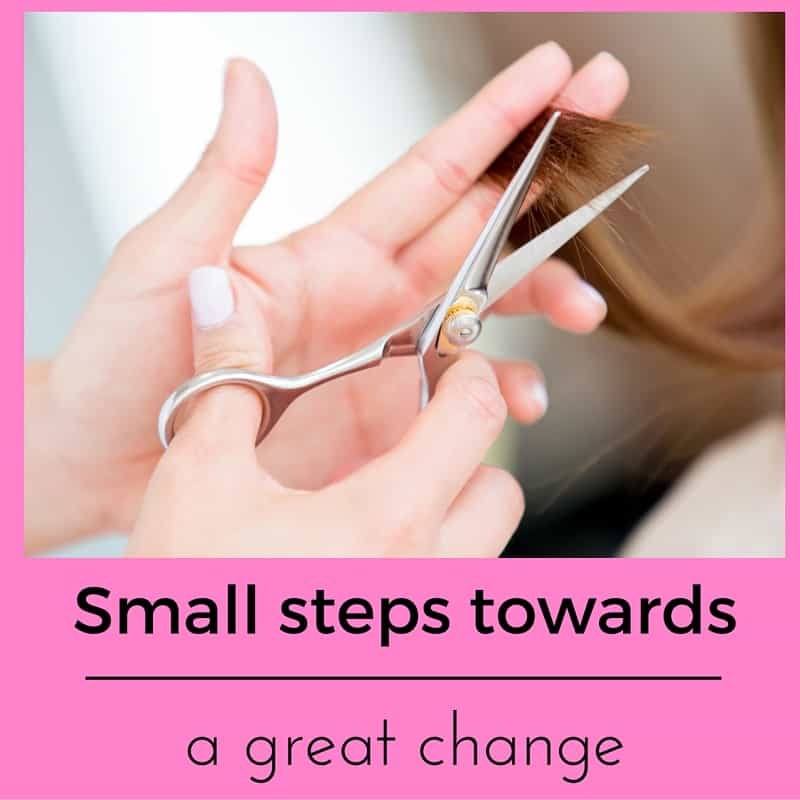 It can help you to come to terms with those past traumas which led to the problem taking hold. Wouldn’t it be great to set yourself free? Hypnotherapy can strengthen the ego and relax the mind when the time comes to face the loss of those possessions which once seemed so important. Hypnotherapy can set you free from the prison of your own compulsive hoarding. Of course, it has to begin sensitively. No hoarder is helped by a therapist who attempts to bulldoze his or her way into emptying the house in one go. 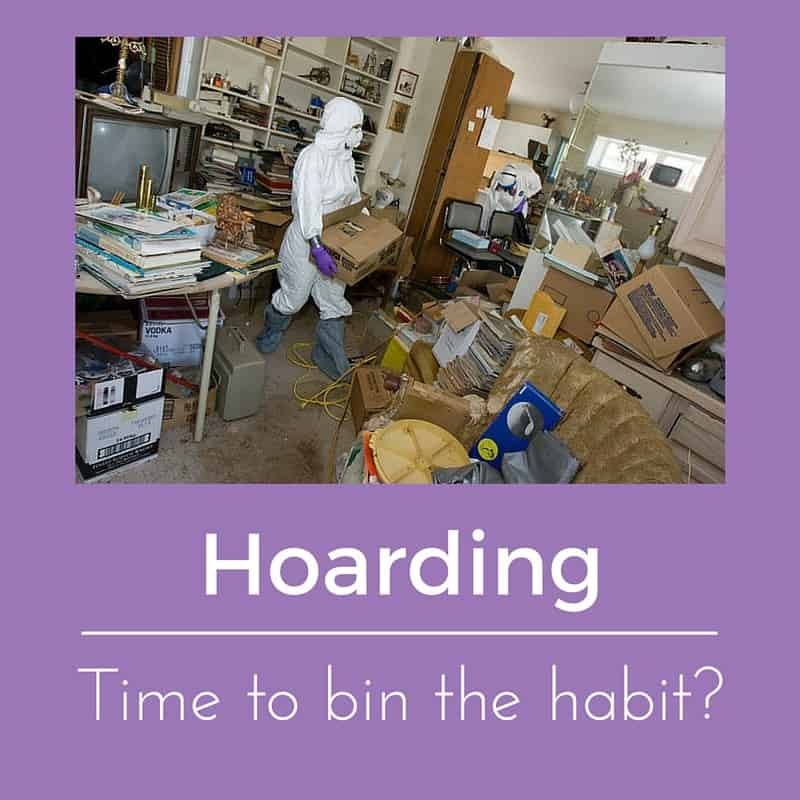 If hoarding is a defence mechanism then different ways of relating to oneself, to others and to the world have to be put in place before the behaviours can successfully be tackled and eliminated. I work with my clients at their pace. I don’t attempt to force change to happen because this is counter-productive. Neither, however, will I collude with the problem. 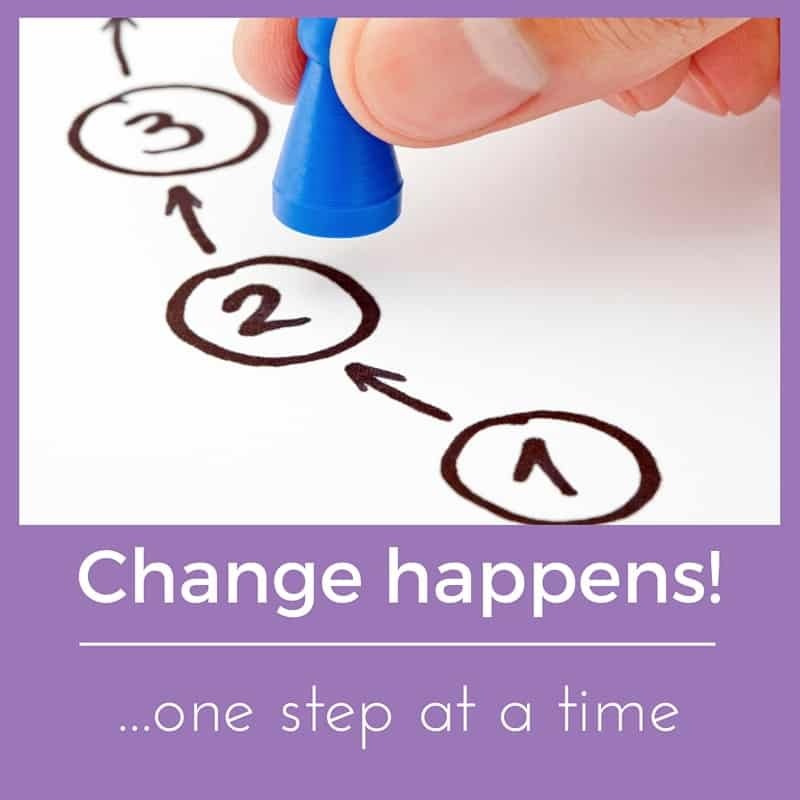 I support my clients and help them to muster their own strengths and qualities until the habit which causes the problem is simply no longer necessary. When you come to accept that your lifestyle is causing you problems, please feel free to contact me here. Together we’ll find a way through it. You can learn to let go of this. You can learn to let go of the problems which caused it. You can learn to re-embrace life, society, and your own self. 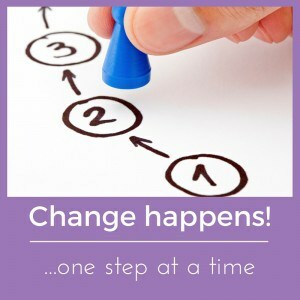 You can do it and with hypnotherapy you maximise your chances! What are the signs of being a true ‘hoarder’? If you’re here as a relative of a hoarder, looking for hope and help then please bear the following thoughts in mind as you attempt to identify whether a relative or other loved one suffers from this condition. Those with the condition will typically…. Find that the problem has a truly negative impact upon their quality of life. Find that attempts to manage the collection of possessions involves little more than simply shifting piles from one place to another. Experience severe anxiety when anything threatens the collection of possessions concerned. Feel that attachment to the possessions appears more important than positive relationships with significant others – in that the fear of losing the possessions is stronger than the pull of such relationships. Suffer procrastination, perfectionism and an inability to make decisions. If you feel that you or a loved one satisfy these criteria and you or that loved one wish to make a change, please consider giving me a call. I’ve used hypnotherapy for hoarding in Reading, London, Oxford, Wallingford and Thame. If you live in or around these areas you could call me on 07786 123736 / 01865 600970 / 01183 280284, email me at paul@resolvedhypnotherapy.co.uk or else use the contact form below. You could learn to be free from the habit of hoarding and you could let go of whatever emotional difficulties turned you to hoarding to begin with. A better life awaits for you, whenever you’re ready to reach out and take it. Why waste another year in suffering and misery? Pick up the ‘phone or send me an email. I look forward to hearing from you.